Comcast is one of the nation's leading providers of communications, entertainment and cable products and services. The team at @ Your Service computer repair possess a vast array of IT skills. From PC and laptop repairs, virus/spyware removal, upgrades, to custom networking solutions, web and database development; they've got it all. Their restaurant is geared toward people on the move. Home cooked style food that is freshly prepared daily gives you a choice of eating in or calling for take out. Their “Old World” style gives you old traditional values with today’s modern look and feel. 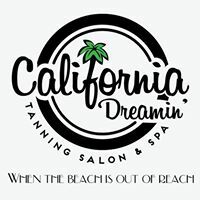 California Dreamin' opened July 2016 for all of your tanning needs! They offer stand-up and lay down UV beds, as well as the newest airbrush "auto bronzer" spray tan technology. They offer a variety of products to enhance your tanning experience! Ink and toner, printers, service and printing supplies. If you need to print, talk to Cartridge World. They’re the home and office printing experts. With over 20 years in business Spritz offers everything from Hair Cut/Trim,Style/Blow Dry,Highlight,Color,and Permanent Waves, to Manicures, and Waxing. Bring your artwork, photos, needlework or personal object in today and let them put 25 years of custom framing experience to work for you! All work is done on-site by our professionals at a price you can be sure to afford. J.S. OTT Agency, Inc. is an independent agency dedicated to providing the best insurance protection at the most reasonable price to the people of Connecticut. Therapeutic massages to reduce your stress, improve your health, sleep better, and enjoy relief from chronic pain. Best Chinese, Seafood, Vegetarian Delivery Catering in Cromwell, CT.
Dry cleaning, alterations and repairs. Same Day service available.